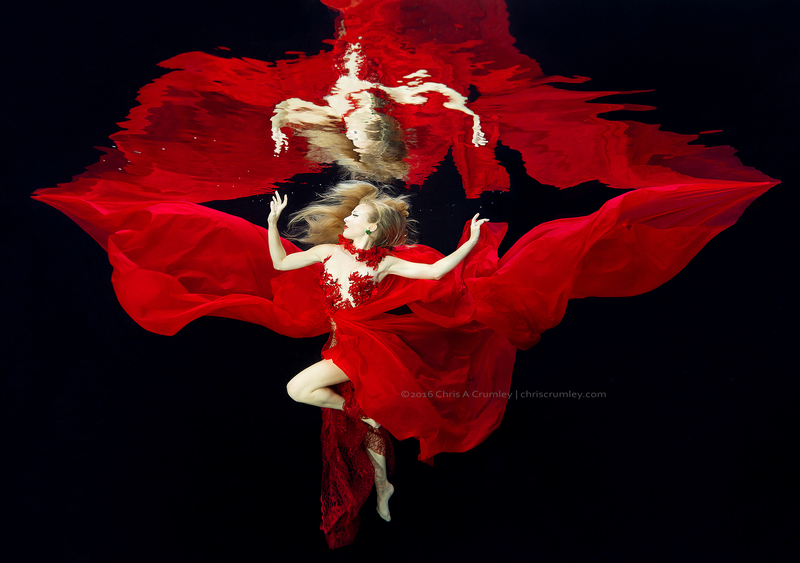 It's always such a pleasure to work in-water/underwater with Kristi Sherk. She has incredible skill with movement, breath hold and vision. Here is one of numerous images from our shoot with some fabulous Vincent Licari dresses last Wednesday. Tech: Hasselblad H5D-50c, Nauticam underwater housing from Reef Photo Video Ft Lauderdale and Christopher Chandler, Tampa, Ikelite DS161 strobes with Profoto/Photoflex Light Modifier and Keldan 8M video lighting. -- with Vincent Licari, Ikelite Underwater Systems, Reef Photo & Video and Hasselblad. -- with Vincent Licari, Christopher Chandler, Kristi Sherk, Hasselblad, Profoto, Reef Photo & Video, Keldan Lights and Photoflex.